Tony Ventrella, a Democrat, says he'll do his campaign without taking PAC money or big donations, against the advice of the DCCC. 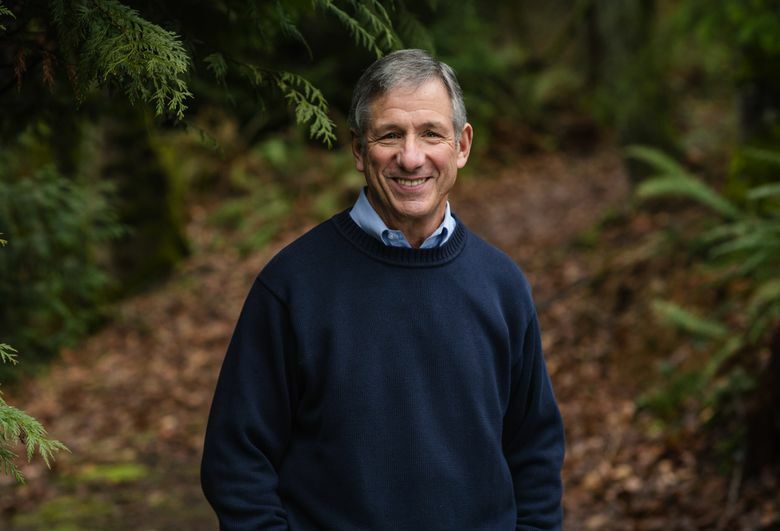 Veteran newscaster Tony Ventrella plans to run for Congress in the 8th Congressional District in a campaign he says will focus more on fighting big money in politics than criticizing incumbent Republican U.S. Rep. Dave Reichert. Ventrella, a Democrat, has been mentioned for years as a potential political candidate. But he said he’s never wanted to play the fundraising game demanded of contenders in both major political parties. So while he plans to take donations, he’s hoping to follow a Bernie Sanders-like model of small contributions and won’t be calling rich people asking for big checks. He also won’t take money from political-action committees (PACs). He’s a supporter of efforts to overturn Citizens United, the 2010 U.S. Supreme Court ruling that unleased new waves of spending on politics. He also praises public campaign-financing initiatives, such as the “democracy vouchers” measure approved by Seattle voters last year. A self-described moderate Democrat who caucused for Hillary Clinton, Ventrella said he’ll talk about other issues too, but believes the nation’s biggest problems cannot be solved without ending the dominance of money in politics. Ventrella’s face and cheerful on-screen personality are familiar to many by virtue of his decades as sports anchor on KING-TV and sports director at KIRO-TV. The 71-year-old Connecticut native later worked for KCPQ-TV and KIRO radio and has made the motivational-speaker circuit. For the last several years, he’s worked as a digital-media host for the Seattle Seahawks, a job he left earlier this year as he prepared to run for office. Ventrella said his decision to run came after meetings with representatives of the Democratic Congressional Campaign Committee (DCCC). But he said he was turned off by the party political operatives’ message about the necessity of fundraising. Ventrella said after informing the DCCC he’d run without seeking big donations, he was asked whether he’d step aside if the organization found a candidate more enthusiastic about raising money. The DCCC did not respond to messages seeking comment Friday. Reichert, the former King County sheriff, was elected to the 8th District seat in 2004. He has faced some staunch challenges from Democrats in his first few re-election cycles, but the district grew safer in 2012 after redistricting pushed his district out of Bellevue and stretched it east into the more conservative Chelan and Kittitas counties. Ventrella, who lives in Newcastle, said that map change also pushed his home out of the 8th District. That’s not a barrier to his candidacy as the U.S. Constitution merely requires congressional candidates to live in the same state as the seat they’re seeking. Ventrella said he’ll move to the district if he wins. In a statement, Reichert welcomed Ventrella to the race. Reichert considered a challenge to Gov. Jay Inslee this year but backed away, saying he was better positioned to serve constituents by remaining in Congress. In November, he was named the chairman of the House Ways and Means Subcommittee on Trade. Two lesser-known Democratic challengers also have filed for the 8th District seat: Santiago Ramos, a Kirkland business owner who previously ran for the state Legislature, and Alida Skold, president of a business-consulting firm. 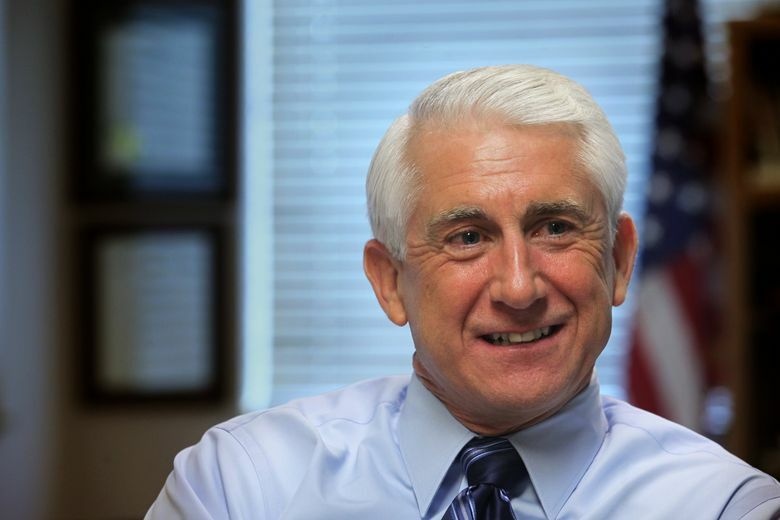 Reichert’s re-election campaign has raised nearly $750,000, with more than half coming from PACs, according to the Federal Election Commission. Ventrella admits his own low-budget campaign could be a longshot. “If I go out there and my positive message about taking money out of politics results in crickets, that’s my answer. Geez. I thought that was a good idea,” he said.